Visual Composer Starter theme made a blast in early 2018 by joining the official WordPress Theme repository. With thousands of active installs, it instantly became one of the most popular new WordPress themes for business sites, landing pages, portfolios, and blogs. Today, we are thrilled to give you a long-awaited update of compatibility between Visual Composer Starter theme and WooCommerce. The update that aims to expand the purpose and capabilities of the theme to support online stores and product pages. This update helps us to strengthen the pairing between the Visual Composer Website Builder and Starter theme. 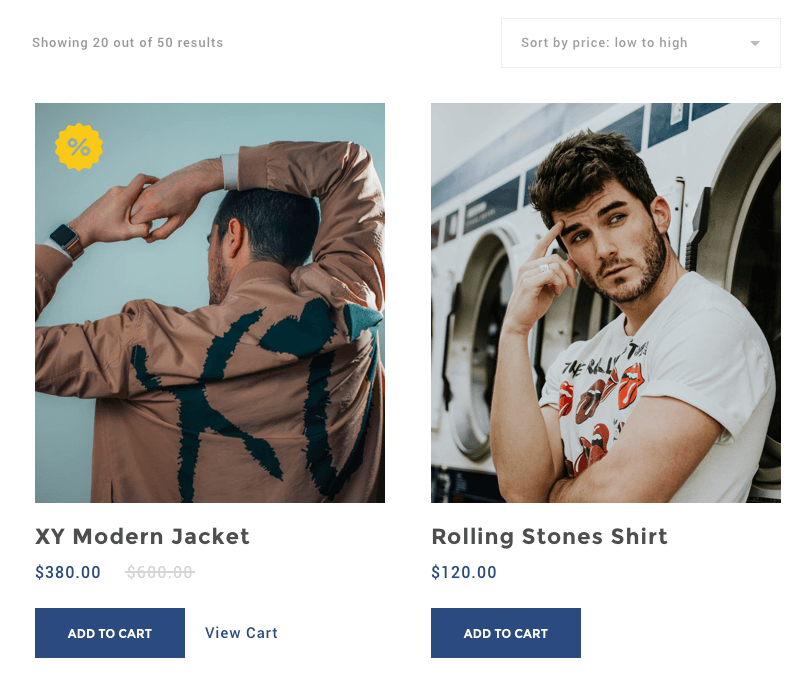 As the website builder is fully compatible with the WooCommerce in the Premium version, we wanted to compliment these two plugins with the option to use Visual Composer Starter theme for your online store. Visual Composer Starter theme offers a clean and simple design that can be easily aligned with your brand and products. 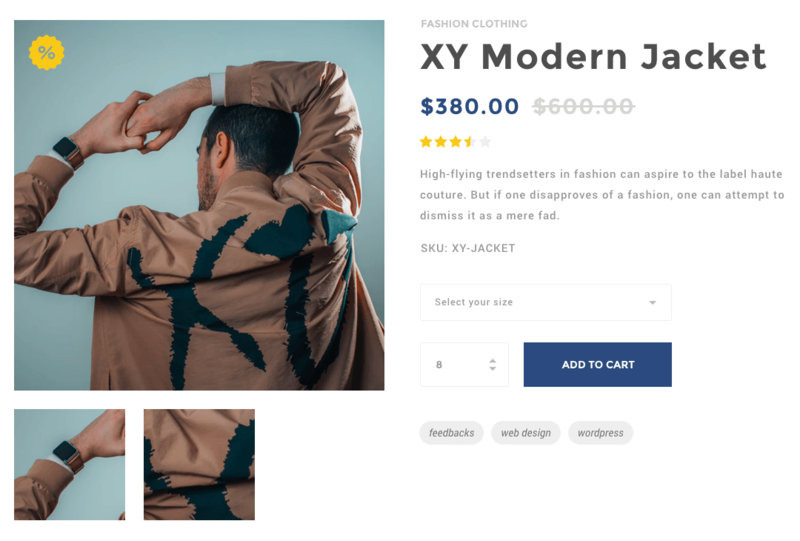 With all the basic pages (catalog, single product, shopping cart, and checkout) defined and an easy-to-use customizer available, you can easily set up your WooCommerce store and start selling right away. This could sound like any other WooCommerce theme, still, there is one huge difference that makes Visual Composer Starter theme stand out. The theme has been heavily tested in the field by performing a huge number of usability experiments on our own website. For you this means that you get not only the theme that is compatible with the WooCommerce - you get a theme that has been tailored for eCommerce with higher conversion rate. Finally, you have a theme to create a successful online store. The theme that has been tested and developed for WooCommerce and eCommerce. The theme that is a perfect pairing for the Visual Composer Website Builder and WooCommerce. Get your free copy of the Visual Composer Starter theme and join the discussion below to share your unique experience. This had been my favourite theme for a while now. With WPBakery it can be moulded to do almost all types of sites. I was worried it would not get an update as the theme was to good to be true but Hey here it is. Just one question, as any other updates been done other than Woocommerce stuff? WooCommerce is latest, but if you do have feature requests – it is more than welcome. Also, thanks for the nice words.